FGM, the first of the three feminine sorrows, refers to all procedures involving the partial or total removal of the external female genitalia or other injuries to the female genital organs for non-medical reasons. The practice is life-threatening both during the procedure and throughout the course of a girl’s life. It is also a reproductive rights violation, as it violates the right to health and bodily integrity and is a form of violence against women and girls. Most countries have committed themselves to protecting the rights of women and girls by ratifying a number of international and regional treaties. In December 2014, the United Nations General Assembly adopted a resolution on ‘Intensifying global efforts to eliminate female genital mutilations’, reiterating the international community’s commitment to eliminate FGM. In the coming months, world leaders will agree on a new set of Sustainable Development Goals to replace the Millennium Development Goals. One of the proposals is to include a target on eliminating all harmful practices, such as FGM, by 2030. Despite global and national actions to eliminate the practice, FGM remains widespread. Can this be done? The task seems daunting. Despite global and national actions to eliminate the practice, FGM remains widespread. It is most common in 29 countries in Africa; in some countries in Asia, the Middle East and Latin America; and among migrants from these areas settling in Western countries. Prevalence of FGM varies across countries, from 96.7 per cent among girls aged 15 to 19 in Somalia to 0.4 per cent in Cameroon. Although FGM prevalence has dropped in many countries, the rate of decline is far below what is needed. If the current trend continues, UNFPA, the United Nations Population Fund, estimates that 86 million girls born from 2010-2015 will be at risk of being cut by 2030. But this trend can be reversed. We need to learn from our experiences and design and scale up programmes that have a real impact in the lives of women and girls. That is why UNFPA and UNICEF are leading the largest global programme to accelerate the abandonment of FGM, which is currently active in 17 countries. So, what have we learnt so far? What works? There is a need to reach out to the girls and women whose rights are violated by FGM, while engaging governments and other parties that have the responsibility to eliminate it. It is important, in particular, to sensitize political leaders on FGM, to cultivate networks of supporters and activists and to disseminate information about local, regional and global developments. States must ensure adequate national provisions to stop FGM, including through criminalization, appropriate enforcement and prosecution. Countries are reporting varying degrees of law enforcement, and many stakeholders say the existence of anti-FGM laws provides them with leverage and legitimization for their advocacy work. Similarly, the process of informing the population about a new law offers opportunities to publicly discuss FGM, thereby raising awareness. Media coverage of prosecutions and court public hearings can also further inform people about legislation. Health workers, fully aware of the considerable consequences of FGM on sexual and reproductive health, are increasingly standing up against the practice. Their advanced skills in the prevention and provision of care to girls and women who have been subjected to FGM are also complementing community behaviour change processes. A traditional Burkinabé midwife educates women on FMG and its effects on child birth. FGM is deeply rooted in tradition and persists as a social norm upheld by underlying gender structures and power relations. Reframing concepts and traditions related to FGM, rather than seeking to discredit long-held traditions, is essential to accelerate abandonment. The creation of new social norms has had encouraging results in countries like Sudan, where a positive term for uncut women and girls was created, Saleema, to replace negative concepts used for such girls. Similarly, in Kenya, Uganda and Tanzania, an alternative rite of passage has been introduced, accompanied by community education sessions. Girls are educated on a wide range of topics, including positive traditional values and life skills, as well as human rights. This prepares them to become mentors and role models. 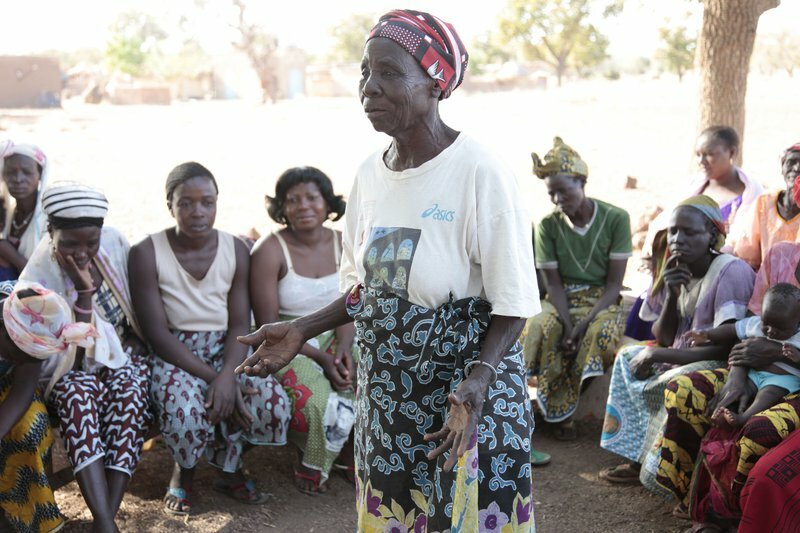 Educational activities and community dialogue create a non-threatening space where community members can re-evaluate their own beliefs and values regarding FGM. Facilitating public declarations of FGM abandonment makes the change in a community’s attitudes more visible and encourages others to embrace the new social norm. A public commitment, especially if made by traditional or religious leaders, produces a social pressure that makes it difficult for community members to return to prior practices and contradict a pledge. Given the complicated nature of FGM and frequent misinformation about it, building the capacity of media professionals remains a priority. Involving national and local media, including at the community level, is instrumental to spreading information, raising the visibility of communities that have abandoned FGM and promoting positive behavior change. National committees chaired by the government and composed of key stakeholders are being set up in several countries to address FGM. Improved collaboration among stakeholders has proven to strengthen the individual and collective capacities to eliminate the practice. The linkages between legislation, human rights and positive social change resulting in the abandonment of FGM are complex. Much progress has been made, but the prevalence of FGM remains at an unacceptably high level. Human rights can help to accelerate abandonment and to achieve gender equality, but they must not only exist on paper. Human rights must become a reality in the lives of women and girls.